FAQ – Can I come to bootcamp if I’m pregnant or if I have an injury? Yes! You can still come to bootcamp if you are pregnant! 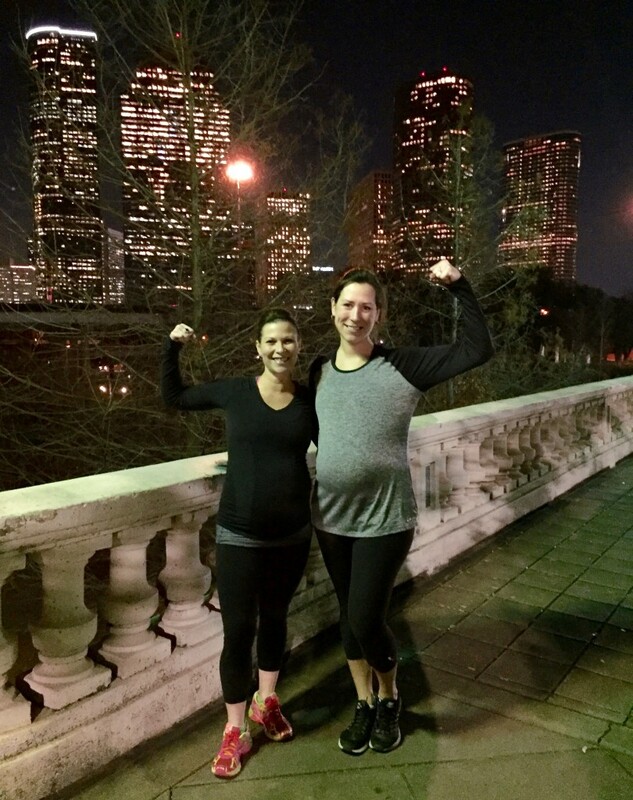 Cari has taught bootcamp right up until the end of her pregnancies (and still demonstrated most of the exercises) and we’ve had quite a few pregnant members – including 2 of our vets Hannah and Emily (pictured above). As long as you are cleared by your doctor to workout – you can still come to class. We can help you modify any exercises that may be too hard or don’t feel right. As your pregnancy progresses you may want to eliminate jumping, running and exercises lying on your back. But, you can still get in a great workout at bootcamp! What if I have an injury? Yes- you can still come to camp if you have an injury. Whether it’s lower body, upper body or even a hand or foot injury – you can still come. We can modify exercises for you and give you alternatives to some of the cardio or strength training! Just let us know before class if you are pregnant or have an injury and we will help you get the best workout possible!